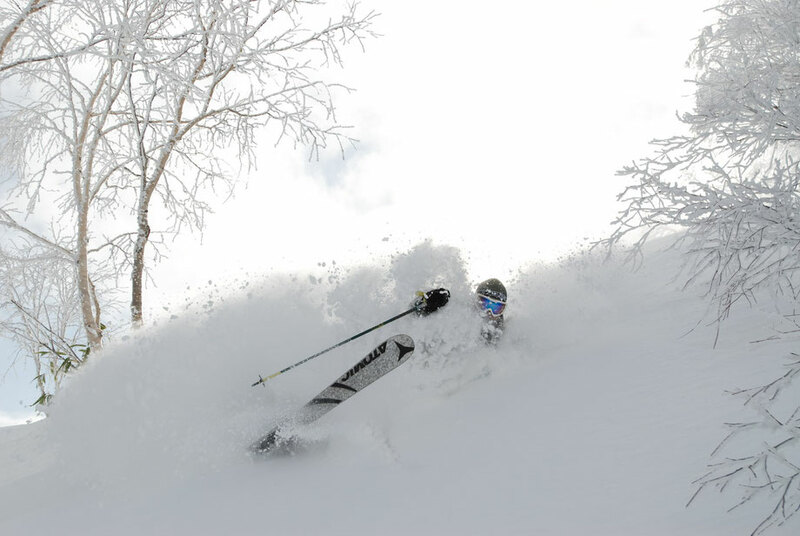 This is a question we are asked when clients make their first trip to Hokkaido. It is an often debated topic amongst Hokkaido locals as well. I was probably a late adopter of true fat skis. 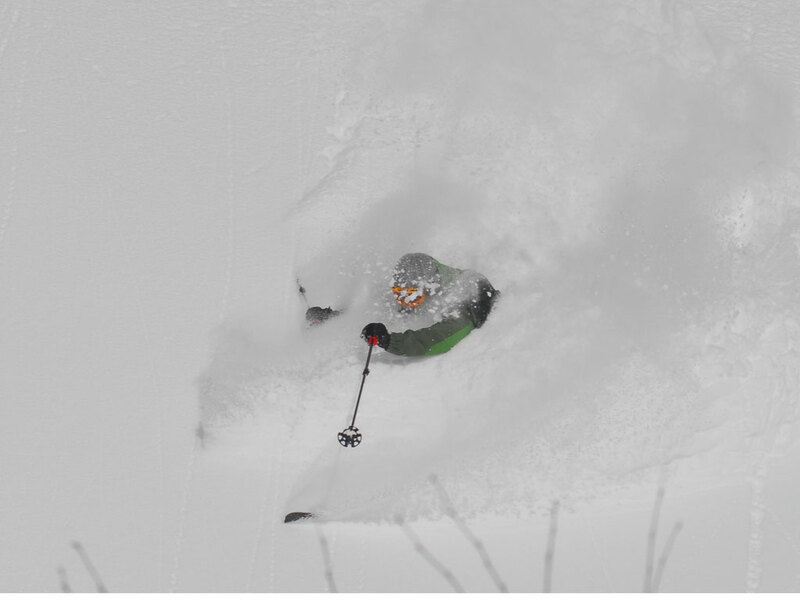 Up until around five years ago, I was still skiing on Salomon Sandstorms which are 100 mm at the waist and a full cambered ski. I used these for resort freeriding, and backcountry use, and they gave me a good five or six seasons of use. One particular day influenced me to go wider. A client from the U.K had joined a tour and had brought with him some K2 Coomba skis. Wanting to experience something fatter after a big overnight dump, he rented some Volkl Kuro skis at 131 mm for extra floatation, and speed. I would set off ahead of him around five to ten turns, and before I knew it, he was right on my tail. Essentially, he was surfing with a lot of float, while I was diving in to the deep on my traditional camber, having to weight and unweight the skis. There aren’t too many choices for traditional cambered skis these days in anything over 100 mm. I am on DPS Lotus skis which are 120 mm width at the waist, which provide plenty of float. The rocker shape also helps to keep me above the snow. The overall ski weight is light due to a carbon fiber construction and lightweight tech bindings. So what about on the ascent for backcountry applications? 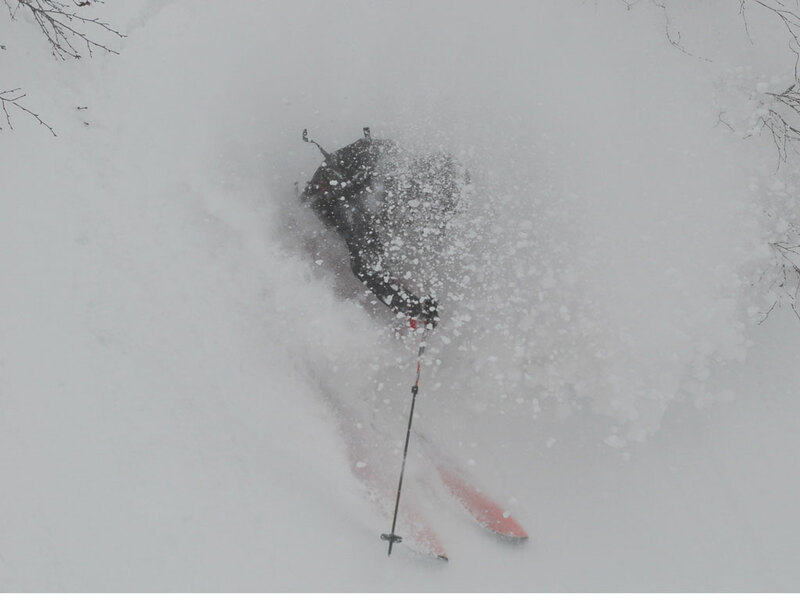 I find that the extra width can be easier breaking trail in the deep powder conditions that we experience in Hokkaido. 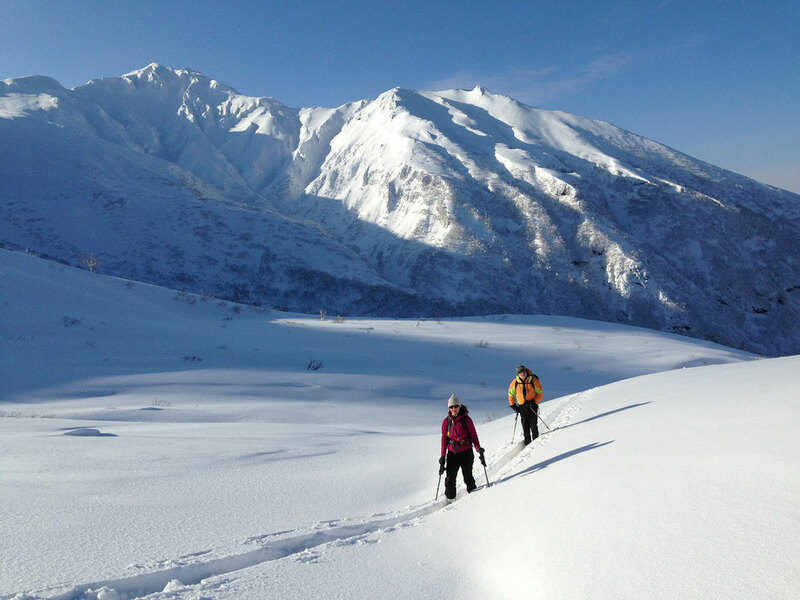 At higher elevations though, such as on the volcano ridges and alpine areas of Daisetsuzan National Park, when conditions can be firm, the wider skis can be limiting. The edges become more important, and if you are unable to edge the skis due to the width when side hilling, the result can be to flail all over the place and go nowhere. Even worse, it can be a safety issue if conditions are harder than normal and you go for a slider. 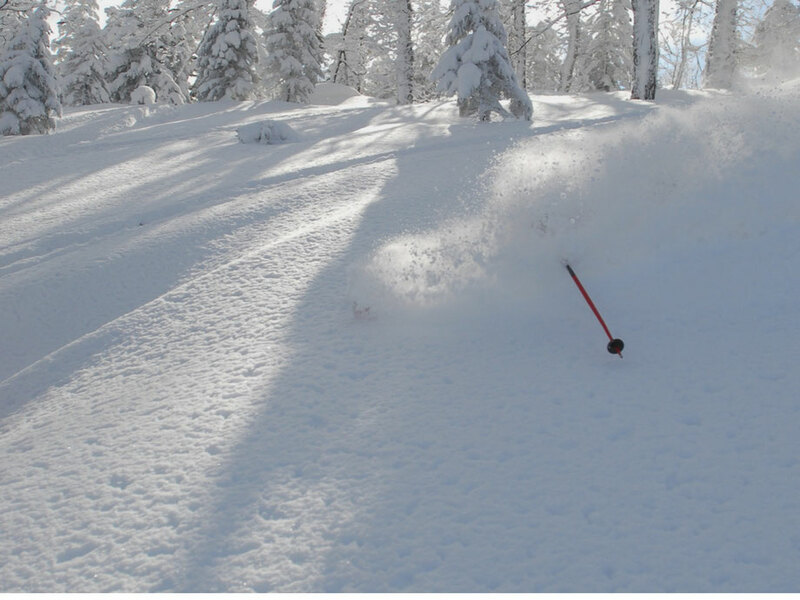 Consider ski crampons if you are intending to bring wide skis for the backcountry. So what is the sweet spot? 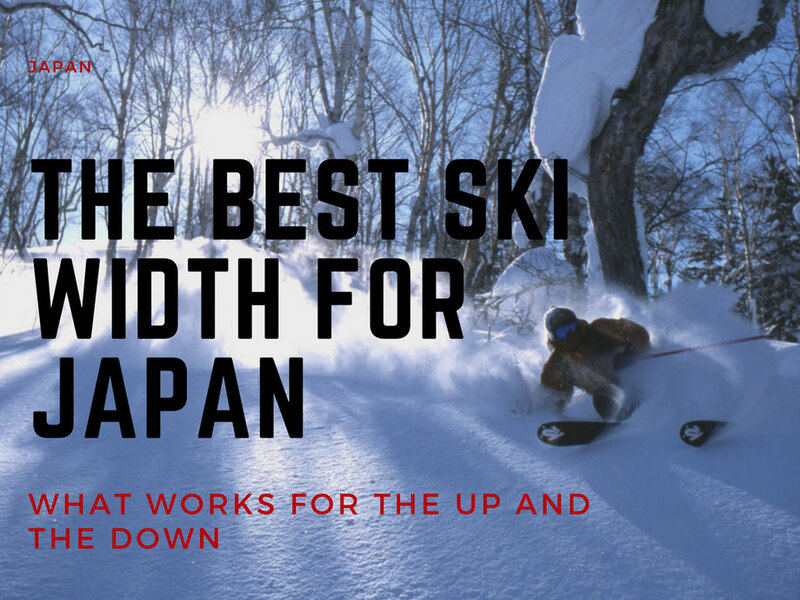 To me, it is in the range of 110 to 115 mm.This seems to be the all-round width that is still functional for skinning in most conditions, and gives adequate float for the downhill. And what about on the groomers? It never really gets icy in Hokkaido, and I find that with the modern ski shapes, carving isn’t a problem.